We’re optimistic about ourselves, we’re optimistic about our kids, we’re optimistic about our families, but we’re not so optimistic about the guy sitting next to us. Optimists are people who expect more kisses in their future, more strolls in the park. And that anticipation enhances their well-being. People prefer Friday, because Friday brings with it the anticipation of the weekend ahead. Regardless of the outcome, the pure act of anticipation makes us happy. 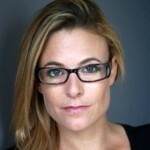 Tali Sharot is a Wellcome Trust fellow and principle investigator at the Cognitive Perceptual and Brain Science Division at University College London. Her research on the neuroscience of optimism, emotion, memory and decision making has been published in top scientific journals including Nature and Nature Neuroscience.